Get ready for non-stop attention because everyone will love these adorable, fully lined and easy to wear wrap-around skirts. 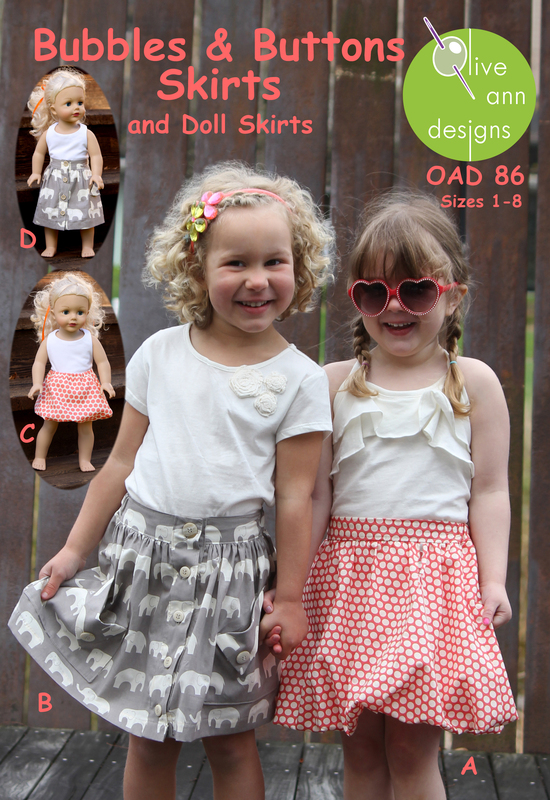 The "fat quarter friendly skirt" is surprisingly easy to make and gives you loads of fun fabric options. The curvy edges of the ‘pieces’ use coordinating purchased or custom made bias trim. Try the button adornment or trendy rose options for additional looks. The skirt waistband has elastic in the back to give a comfortable and easy fit. The very easy to make close-fitting cropped leggings complete the look. Available in tissue pattern with complete, detailed and easy to follow instructions.